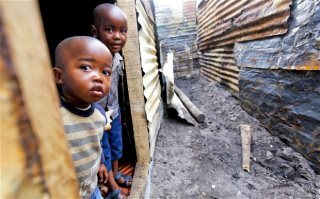 AFRICANGLOBE – The World Bank has urged developing-world countries to fund social security programmes to lift the incomes of their poorest people, ending a reliance on growth to end poverty. In a report the bank said that while economic growth remains vital for reducing poverty, it has its limits. “Countries need to complement efforts to enhance growth with policies that allocate more resources to the extreme poor,” it said. The World Bank has spent billions of dollars attempting to improve the infrastructure and education systems of low-income countries to promote growth and tackle poverty. Its support for large-scale, expensive projects has long come under fire from anti-poverty groups, which have accused the bank of forcing poor countries to borrow heavily to adopt expensive solutions designed in the west. And the bank’s latest initiative was quickly criticised for lacking action on the ground. The Bretton Woods Project, which monitors the work of the bank, said: “While it is welcome to have the World Bank talking about ‘inequality’ instead of fuzzy language on ‘shared prosperity’, the bank is putting more of its money into the financial sector than any other sector. Earlier this week Oxfam reacted angrily to comments by International Monetary Fund boss Christine Lagarde that inequality should be a central issue for policymakers. She said the social and political problems caused by extreme inequality of wealth and incomes was beginning to cause economic problems and hindering growth. Max Lawson, head of policy at Oxfam, accused the World Bank and IMF of promoting policies that make people poorer. He cited support by the bank for private education and health, which become unaffordable for poorer people and force them to borrow or forgo the service. The bank said the top five countries, in terms of numbers of poor, are India (with 33% of the world’s poor), China (13%), Nigeria (7%), Bangladesh (6%) and the Democratic Republic of the Congo (5%), which together are home to nearly 760m of the world’s poor. Adding another five countries – Indonesia, Pakistan, Tanzania, Ethiopia, and Kenya – would encompass almost 80% of the extreme poor, the bank said. “Hence, a sharp emphasis on these countries will be central to ending extreme poverty,” says the paper. The top five countries in terms of poverty density are the Democratic Republic of the Congo (where 88% of the population is below the poverty line), Liberia (84%), Burundi and Madagascar (81% each), and Zambia (75%). “Reducing poverty in these places is as important as making progress in countries where the absolute number of poor people is much bigger,” it said.